This is the hard question to answer. The time required to acclimatise to varifocals is dependent on the individual. Varifocal lenses are complex, which means not everyone can get used to these kinds of glasses immediately. Some people get used to varifocal glasses and can see clearly after only a few hours, while in some exceptional cases it takes several weeks. 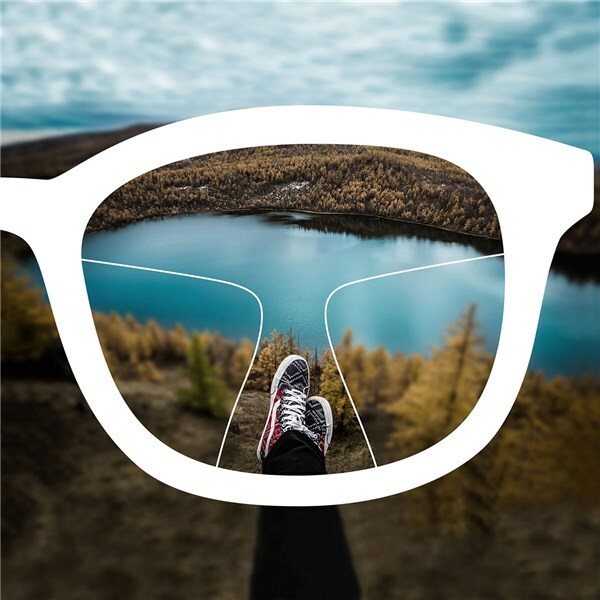 The higher the quality of the selected lenses, the larger the viewing range, which in turn results in a more comfortable adaptation time with your new varifocal spectacles. Try-on virtually: Try our varifocal glasses on in 3D using your webcam and choose up to four of your favourite frames. You can also select up to four of your favourite frames and we’ll send them to you for home-trial, free of charge. This way you can choose your favourite pair from the comfort of your own home. We’ll send you up to four of your favourite frames for home-trial, free of charge. This way you can choose your favourite pair from the comfort of your own home. Once you have selected the frames you want, take a front-facing photo of yourself with them on and send it to us. Our opticians will calculate your pupillary distance for you. Order your desired glasses with your specified corrective values. After a few days your new glasses will arrive to your home or office.